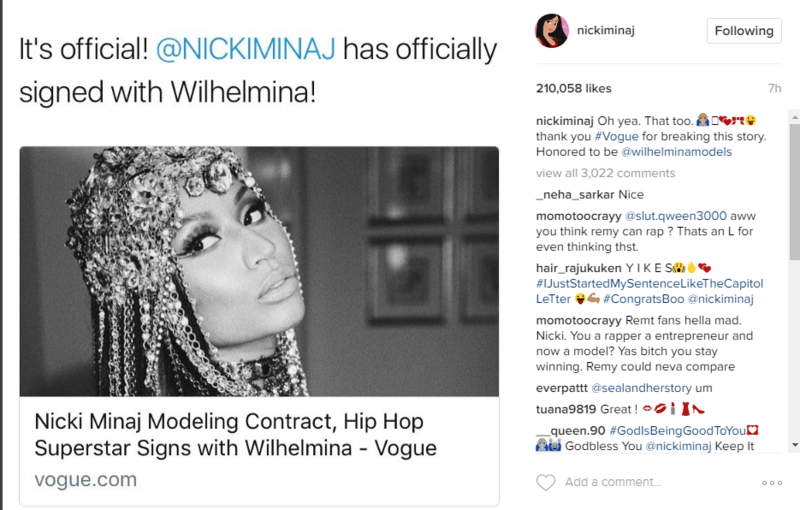 Rapper Nicki Minaj has just signed a major modeling contract as she joins Wilhelmina’s celebrity division. The rapper who is use to posing in front of camera and has been the face of brands such as Roberto Cavalli and has been shot by different photographers including Mario Testino and Vinoodh Matadin. According to Vogue.com, who exclusively broke the news says by her joining an agency, she opens up the door for more opportunities. The rapper also confirmed the news on her Instagram page.